You can’t ignore some holidays! Click the pic for a larger image, it’s easier to read! Now you eagle-eyed readers will notice I skipped an episode. Don’t worry, I’ll post episode 32 after Halloween. 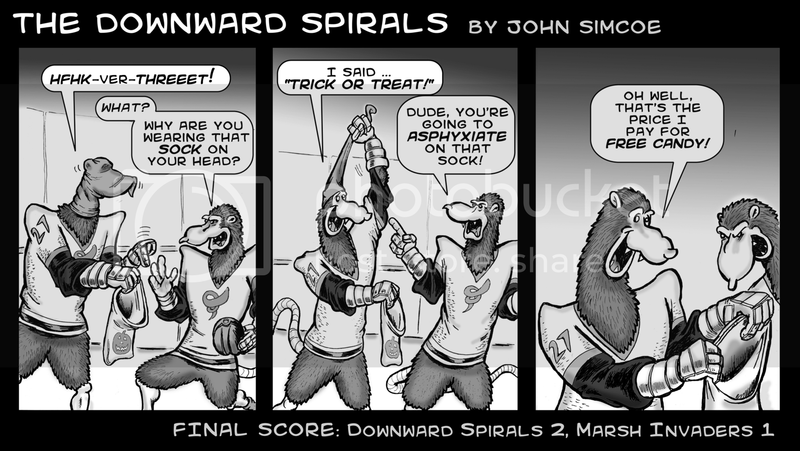 I just wanted to get this holiday-themed comic to you in time for Oct. 31! And while we’re at it, let’s celebrate Halloween with noted opossum lover, ME Pearl!